A simple ISPConfig/Dovecot Fix: message exceeds temporary size limit. Everything went smoothly, until I setup and tested email addresses. The size of the message you are trying to send exceeds a temporary size limit of the server. The message was not sent; try to reduce the message size or wait some time and try again. The server responded: (IP, Sender) first encounter.. So, I searched Google for that exact phrase as well as part of it, like "The size of the message you are trying to send exceeds a temporary size limit of the server" or "message exceeds a temporary size limit", and so on, then I finally found a small post that (accidentally?) contained the solution, a parameter that was missing in my config file! Today, I wanted to autostart dropbox during boot, so it is loaded during system startup and not only after I login. To accomplish this, I needed to create a file and execute a few terminal commands. Go to: dropboxwiki.com and click on the "Debian/Ubuntu" bar, copy the code. You need to provide the username(s) that use dropbox. Save the file, close editor, and make the file executable. This will load dropbox near the end of the system startup, found it in the ubuntuforums. This is a quick and easy guide on how to install MS Office 2007 in Ubuntu 12.04 using wine. This includes winetricks settings to run Office 2007 using wine. Most of what you can read here comes from an excellent post I found explaining how to do this on Ubuntu. I have slightly modified those steps, in order to make the installation on Ubuntu 12.04 as easy and as fast as possible. 1. Install wine1.4, winetricks, wine-gecko1.4. If winbind is not installed install it also. 3. 32 bit users can directly go to step 4. 64 bit users only must run the following commands in a terminal. This will set the Windows version as 32 bit, as Microsoft Office is available for 32 bit only. Warning: rm -rf ~/.wine will remove all programs and configurations you have setup under wine. If you have something important in that directory please backup BEFORE running the following commands. 4. Make sure you got the files you need for step 5. Check if the folder "~/.cache/winetricks/msxml3" exists, containing the file "msxml3.msi". You may have to create the folder, download the file, and place the file into it. Select "Install a Windows DLL or Component". It may return the error: dotnet20 requires Microsoft Installer 3.0. After you installed Microsoft Installer 3, reset your wine again. Navigate to the folder where the Setup.exe is locates and run it with wine. You will find all installed office apps in your dash home. On First Run, select "I dont want to use Microsoft Update". Since Service Pack 2 you have the option to Save As… PDF, so it may be good idea to install at least that one. Today YouTube and Facebook kept telling me that my flash player plugin is out of date and that I need to update. However, when following the link in the warning, all I got offered was of some .rpm file I could download. As I rarely need to use an .rpm file in Ubuntu, I figured I missed something. So I searched a bit more, and more, and more… and bingo, there is actually a package I can install via apt-get! 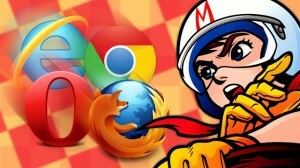 You will have the latest flash player installed, and it works perfectly fine (for me) with Firefox and Chrome. I am guessing it will update just like any other package… time will tell. Today my Ubuntu decided to "forget" it got 2 monitors connected. Once I activated the 2nd monitor again, I could only choose a max screen resolution of 1024×768. it will show you the available screen resolutions for the connected monitors. VGA-1 is the monitor that has a max screen resolution of 1024×769. Last step: Open Display settings and change the resolution for the monitor in question. Today, my Ubuntu was unable to install update. Step 2 may be unnecessary, but I have no way of testing it again… maybe someone with the same or a similar problem can try it without step 2 and let me know? I have been using Gitlab for a while now to have backups of all my git repositories on my dedicated servers. Now, I needed to reboot one of them for the first time since I installed Gitlab, and ended up with a ‘502 bad gateway' warning by nginx, when trying to access the Gitlab web interface. gitlab doesn't start on boot if you follow the install instructions on Ubuntu (12.04 LTS Server -- probably others). Turns out gitlab requires redis-server to be running for gitlab to be able to start. Startup script S20redis-server isn't run until after S20gitlab so gitlab fails to start on boot. Webserver will be up, bad gateway 502 error is usually seen/reported. Starting gitlab manually works (because redis-server has started). This change makes gitlab start after redis-server. I just installed another language to Ubuntu 12.04, and was a bit surprised not to find any icon in the systray (taskbar, top bar, notification area), also there was no shortcut I could find to make it change language. Today my sound card decided to stop playing sound on all 6 channels, and instead just played regular stereo (front left and right). Angry IP Scanner (aka "ipscan") is a network scanner designed to be fast and simple to use. Angry IP Scanner is a open-source and cross-platform software to Scan IP Network show Computers Network Devices in a certain IP range. Angry IP Scanner not only finds computers and other devices connected to the network. For computers/devices found in the network, it will also display the host name, as well as scan and list their open ports. Angry IP Scanner has many other features to in regards to Scan IP Network show Computers Network Devices. Resize VirtualBox Disk Image -- the easy and the hard way.Today I actually used up the 20GB of virtual disk space I set for the Windows XP I use for specific Windows Software. Who would have thought that an old Windows XP license would be useful again, eh? After performing a quick search on how to manipulate an existing VDI file, I found a bunch of lengthy guides, all pretty much saying the exact same thing… create a new VDI, load the old and new VDI disk images into a Virtual Machine as a master and slave drive, boot with a gParted or equivalent BootCD image, and then clone the old disk to the new one… or in short: do a lot of steps that take forever, but not what I want: Resize VirtualBox Disk Image. After flipping through the 10th or so guide, I realized that pretty much all of them were written in 2008… very unusual as bloggers usually write about the same subject on a yearly basis. That in mind, I search a bit more and… BINGO! 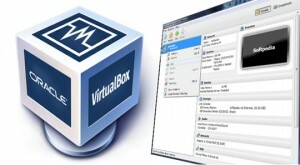 Since VirtualBox 4 is out, there is a simple command line tool to resize VDI images. Man, those extra 5 minutes of searching just saved me from a lot of hassle and a huge waste of time. Today we got a new printer from Samsung, one reason being that the Installation CD boasted to support Linux. It's actually the first Samsung printer I ever used, so… the "Linux Installation" turned out to be a non-functional Java Applet, which looks like it is supposed to help setup the Printer to connect to the WiFi… needless to say -- it didn't work, at least not until after I had setup and configured the printer, at which point I didn't need to use it anymore. I configured the wifi settings of the printer using the USB connection, a Windows PC, and the Windows portion of the Installation CD provided with the printer. After it was configured, I disconnected it from the USB, so there is only the power cable now. Here is the quick and dirty guide on how to install the Samsung SCX-3405W Network Printer (and Scanner) on Ubuntu 12.04, which should also work for older Ubuntu releases, as well as other Debian based distributions. Install JDownloader, the DLC Download Container App for Ubuntu. JDownloader is an open source software, written completely in Java and platform independent. Download files from One-Click-Hosters like Rapidshare.com, Share-Online, BitShare, FreakShare, or CloudNator.com — it works for users who don't pay, and users with a premium account can enter their account details to download with Full Speed. JDownloader can open DLC files and download multiple files at the same time, it has captcha recognition, and even extracts archives automatical once all files have been downloaded. JDownloader is absolutely free to use, as you would expect from Open Source software. During an update some package broke and caused apt-get to throw a fit. I could't remove the package, nor could I update it. It was really annoying, as no update would work, as long as this broken package was there. This is a guide on how to shrink a Software RAID1 filesysten, volume, and partition on a dedicated/remote server. I added the sources that helped me complete this task at the bottom of this post. It took about 2 days to get this sorted out, mainly because I am a Jack of all traits, and a master of none. This guide on how to resize a software raid1 should work on most Linux Distributions. I used a dedicated server located in Strassburg running Ubuntu Server 12.04, and I connected to it via ssh from Asia. md2 uses pretty much all the space. As a movie lover living in a household that speaks 3 languages, multiple audio tracks are a must for a movie, and at least English subtitles for those of us who are not native speakers of the audio we are listening to.